Londoners have a tendency to think that anywhere that doesn’t have a tube station or quick bus route from central isn’t worth going to, and I have to admit that, having been lucky enough to have never lived further out than Zone 2, I’ve fallen prey to this ideology. 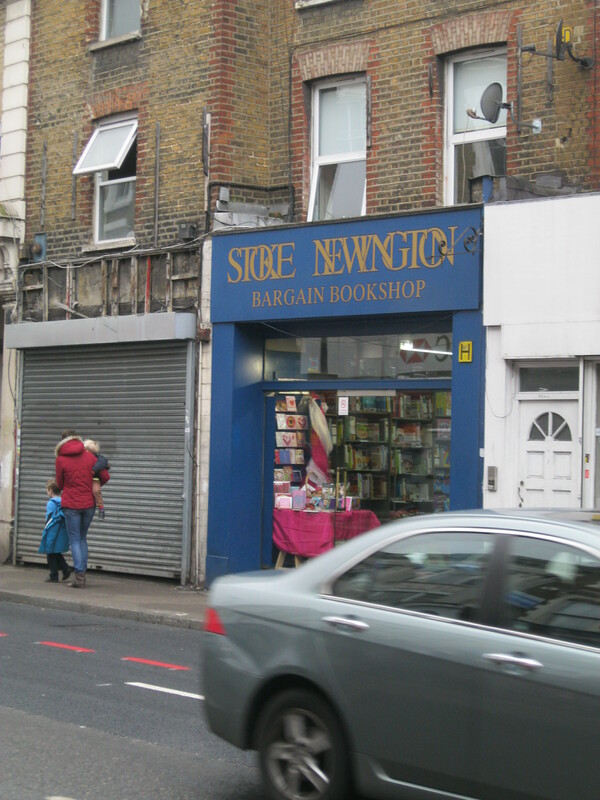 So, despite the good things I’d heard about this bookshop, I stepped onto the 73 bus this morning with more than a bit of skepticism about what Stoke Newington, the mystical land at the end of the bus route, would be like. As it turns out, it’s absolutely lovely. I’m ashamed to admit it, but I was completely surprised to see just how nice it is, with rows of independent shops lining the High Street and Stoke Newington Church Road. It’s a bit like a town in its own right, with a local community who are out and about on the streets, going into independent bakers, butchers, candlestick makers and booksellers on even the dreariest of Saturday mornings. 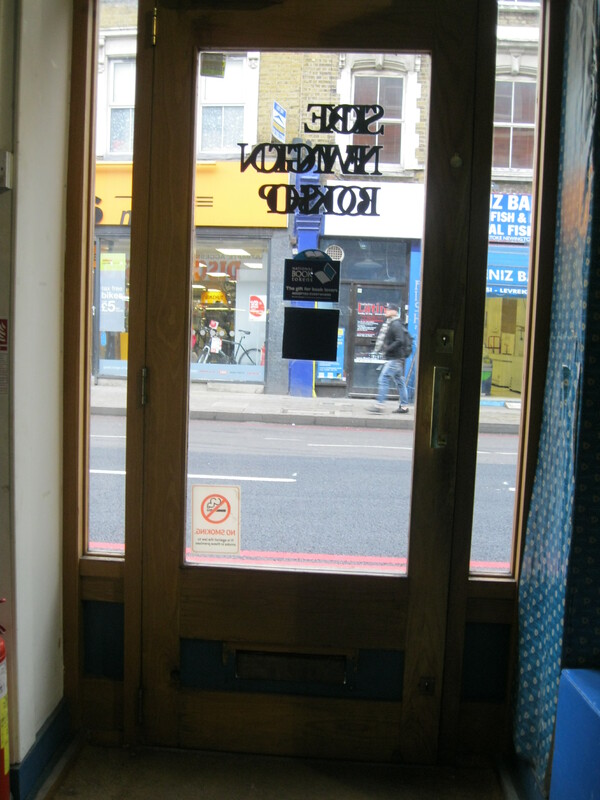 At the centre of this community are two bookshops; the Stoke Newington Bookshop and Stoke Newington Bargain Books, which is only three doors down from its parent. Both feel like places where locals come on their way to the farmers’ market on the weekend, with their little ones in tow, popping in out of the February air. Rosy-cheeked and frozen-fingered, shoppers wander in, seduced by the beautiful window display. 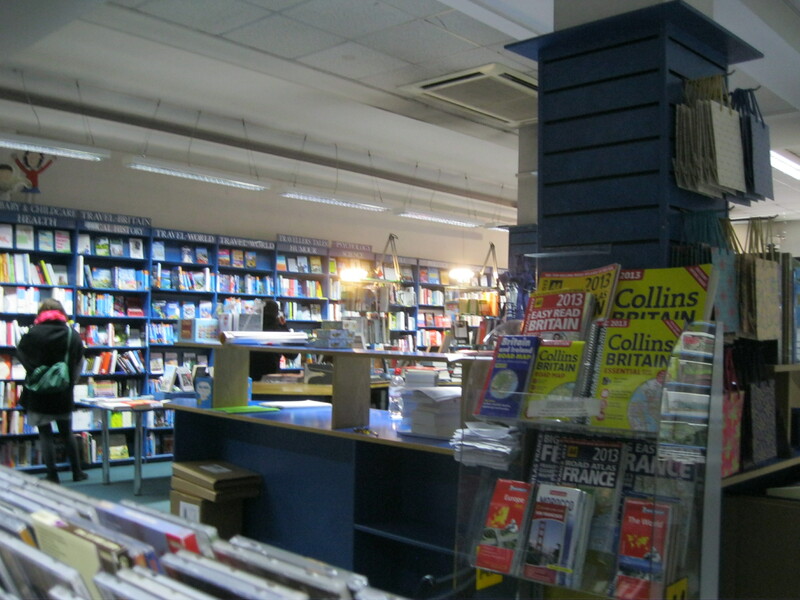 Inside, the shop is one big open space, with the till in the centre of the shop and books along all the walls and on tables throughout the shop. 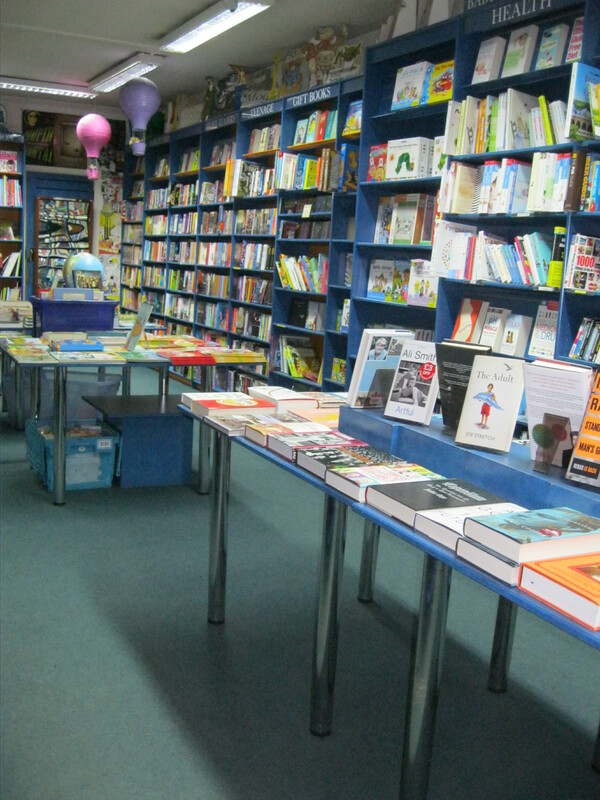 The open layout is perfect for the shop’s moonlighting gig as a venue for the public to come and spend the evening listening to their favourite authors giving readings or interviews over a glass of wine. Tomorrow night, in fact, such a gathering will be happening as Rachel Joyce, the author of The Unlikely Pilgrimage of Harold Fry – which has been garnering loads of attention lately – nestles in amongst the books and gives a reading. The sense of community in this shop is heartening, and I think a lot of the credit for that goes to the friendly, helpful staff, who take turns in this shop and the Bargain Bookshop down the street. 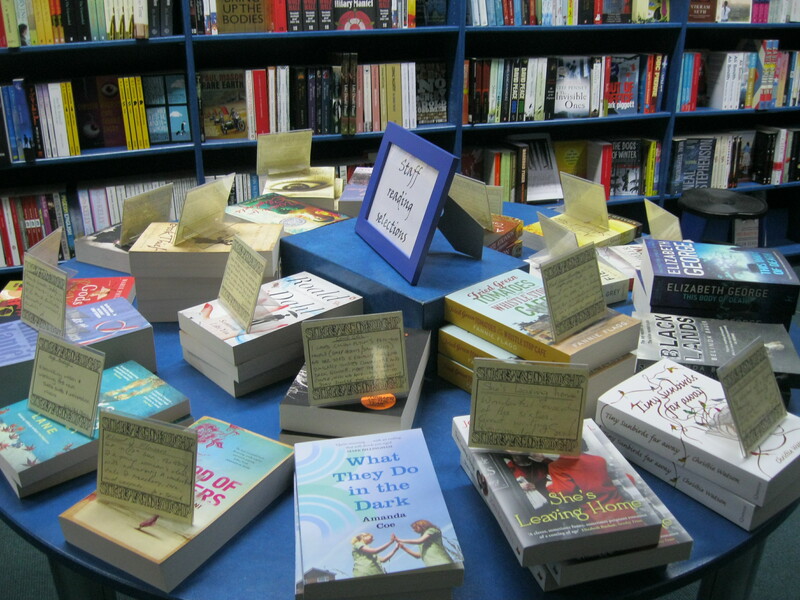 They also have a table of staff recommendations, which I always loved writing when I worked in a bookshop and which provide a good place to start when you have no idea what you want to read next. 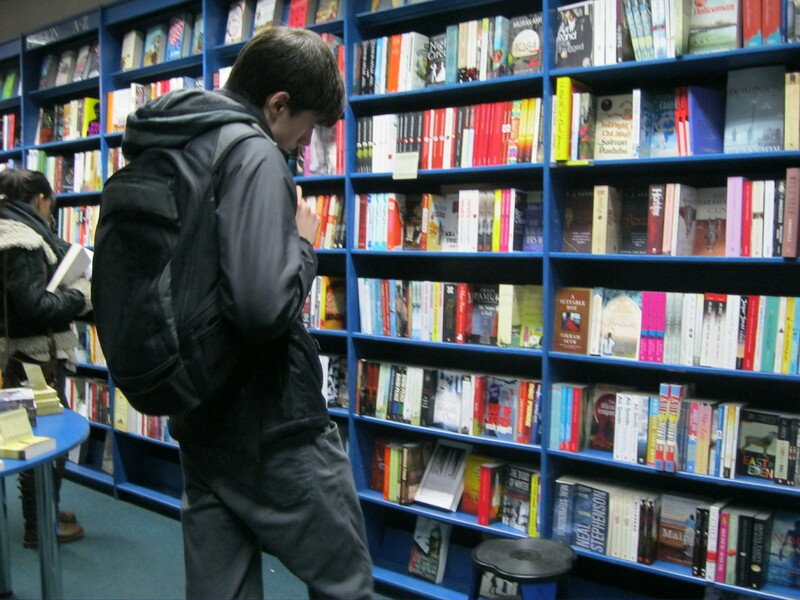 The selection of books is very good; it’s not the biggest selection, but most big titles are here and there is a brilliant selection of Classics and poetry. The books on display are all good books, clearly well-chosen. It’s a good place to go for history, politics, media and biography, as well as, of course, fiction. One of my favourite things about both this shop and the bargain bookshop is their wide range of children’s books, from picture books all the way up to young adult. 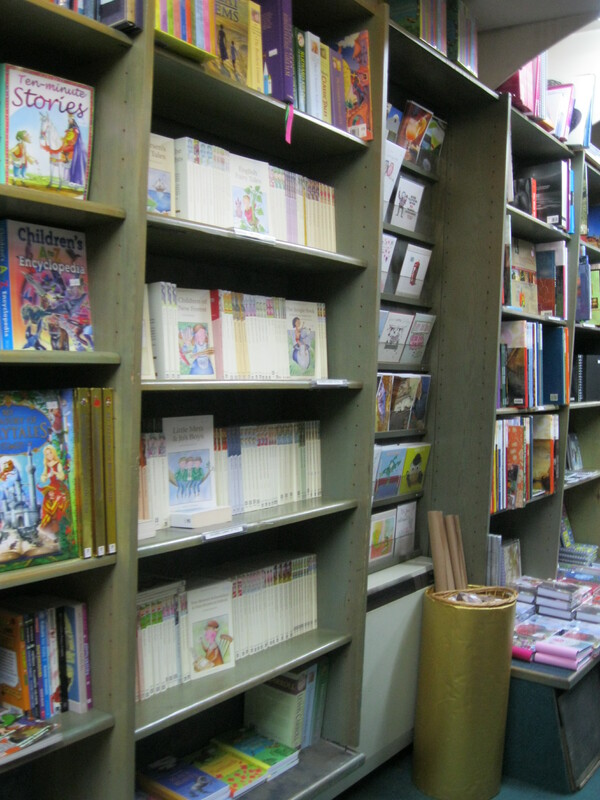 The back corner is filled with them and when I was in the shop, a little girl was sitting with her mum trying to decide between Diary of a Wimpy Kid and something by Jacqueline Wilson. Personally, I’d always go for Wimpy Kid, but to each their own. I never can resist the children’s corner (it’s always just so much more colourful than all the other corners!) so I spent a little while rifling through storybooks I remembered from years gone by and then reluctantly moved back over to the boring grown-up side of the shop. Lame. I found about ten books that I have been wanting to buy in the fiction shelves, which was brilliant for the bookshop but really bad for my wallet. Among the sultry temptresses I had to fend off were Kafka’s Metamorphosis, Artful by Ali Smith, and the new 50th anniversary edition of Sylvia Plath’s The Bell Jar. The cover of the new The Bell Jar has been causing controversy since it came out, with its silly chick-litty cover that people say takes away from the weight of the work. Without having read the novel (yet) I can’t judge the cover, especially since some prominent journalists and writers have rushed to its defense, saying that it is a good representation of the way that the novel deals with femininity and its various constructions. Besides, regardless of the cover art, I know that the woman who wrote Ariel can’t possibly have written anything nearly as trivial as the cover makes the content look. And besides, I reckon if some silly girl who only ever reads silly books looks at The Bell Jar and decides to buy it on the basis of its cover, she might just fall in love with Plath and one day become a better person for it. Anyway, to cut a long story short, I might have bought the book just because of the controversy it’s been causing had I not been carrying a lighter-than-usual wallet. 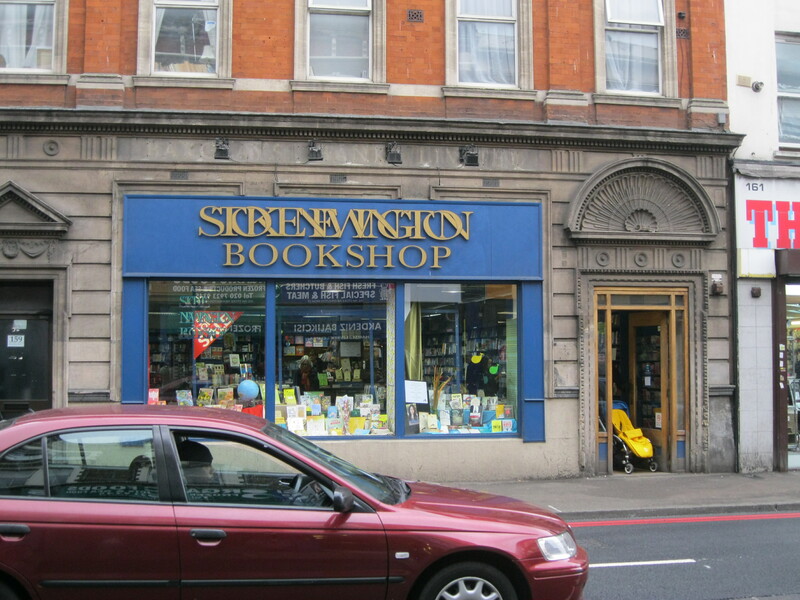 But that does bring me another important thing about Stoke Newington Bookshop and their Bargain Bookshop; there are cheap books! In the bookshop proper there are loads of cheaper editions of classics and a table of half price sale books. To my delight, the sale books were all recent, well-known or more obscure but still really intriguing, meaning that this was a genuine attempt to sell cheaper books rather than just the shop getting rid of the ones no one wants. Next door at the bargain bookshop, Wordsworth editions rule the day, with their cheap copies of the classics for adults and children. I had to leave empty-handed, since I’ve been trying very hard lately to buy books that I need before books I want and since the one book I needed wasn’t there (to be fair to them, I think it’s quite obscure) I had to walk away. The bright side of being a broke student is the cultivation of a will of steel when it comes to attractive books. Although I didn’t buy a book today, I did discover a brilliant small business that I vow I will one day return and support and I added several new books to my wish list. The only problematic thing about that ever-growing, ever-shifting wish list is that for every book I manage to cross off it, I need to add fifteen. Such is the joy of being a bookworm; my passion is one I’ll never get bored of, one I’ll never outgrow and one that will never go out of style. Some of the gloomier commentators might say that ebooks will send real books out of style, but as long as there are places like this, I don’t think that’s true. Because to buy an ebook, you can sit in your pajamas at home and press a button and yes, it’s easier, but it’s just not as much fun. Instead, today, I left my neighbourhood, took the bus to a part of my city I’d never been to before, discovered not just one but a whole high street of independent businesses and participated in a community. For a good bookshop is so much more than a place of commerce; it is a place of discussion, of shared passions, of debate, of precious moments turning pages with a little one, of new adventures added to the bucket list. It’s not the walls, the ‘bricks and mortar’ of the Stoke Newington Bookshop that people love, it’s the adventures and the magic that take place between them, when a family spends a Saturday morning reading together, or friends reminisce about their schooldays reading Hamlet, or an author inspires a new generation of readers, or complete strangers bond over a shared love of T.S. Eliot. So, though I left with an empty hand, my mind had been filled with thoughts of what and where and when I’ll read next. Like an addict obsessed with the thought of her next fix, I hurried home to my current book and continued to wade through it, eager for more words and comforted by the eternal covenant that no matter how we mourn for the one we’ve just finished, there will always be a next book.